Globespan Property offer a bespoke overseas property finder service. We offer a personal and tailored property search service for people searching to purchase an overseas home. We are not estate agents or developers, we are completely independent allowing us to remain impartial at all times. Let us use our extensive knowledge and contacts to search for your dream property. Simply tell us your requirements for your dream property and we will select a shortlist of properties that would suit you and your family, based ONLY upon your requirements. There is no obligation to purchase. So whether you are seeking a new development, an off plan property, or a resale property, a villa or a village house or even that bar on a deserted beach, then Globespan Property is here to assist you with all aspects of buying overseas real estate. If you do not see the property you are looking for on our database of real estate listings, just contact us with details of your dream overseas property. We will ensure that our associate real estate agent in that particular area is made aware of your property search. Tell us your exact Overseas Real Estate requirements by filling in the simple form below or emailing us info@globespanproperty.com and we will find your dream property for you! 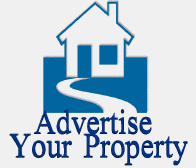 Please fill in the form, email us or telephone us to advertise overseas real estate agents and overseas properties. Can't see the area & locations you sell property in? YOU add whatever location, province and area you like and it automatically appears in our database! All the above is in conformity with the established protocol of the Ley Organica 15/1999, de 13 de Diciembre, de Proteccion de Datos de Caracter Personal (Organic Law 15/1999, 13th December, of the Protection of Personal Data) and other legislation applicable in this case. In compliance with the disposed Law 15/1999 of the 13th December in relation to the Personal Data Protection Act the client of Globespan Property can at all times exercise their right to access, rectify, cancel and oppose their data by e-mail to info@globespanproperty.com.